This weekend, we participated in our first all breed dog show, hosted by IABCA (International All Breed Canine Association) in Anaheim Hills, CA. 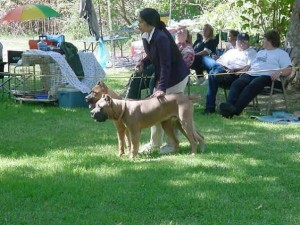 I entered Romeo & Giulietta in the Brace Class, where two dogs of the same breed are shown together side-by-side in the show ring. 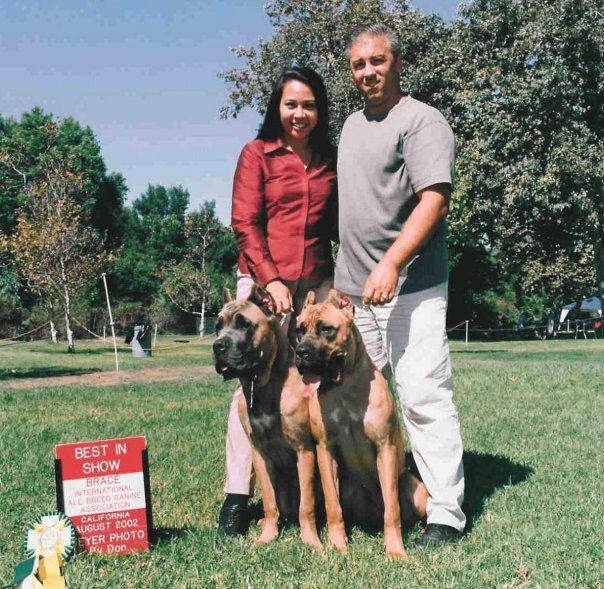 Romeo & Giulietta won Best In Show Brace, beating the Dogue de Bordeaux, Portuguese Water Dogs, Huskies and several other breeds all competing in the Brace Class. This entry was posted in Dog Shows and tagged anaheim hills, brace, giulietta, iabca, romeo on August 25, 2002 by Leilani. Merry Christmas from the Souza Family! Happy 7th Birthday, Litter A Puppies!